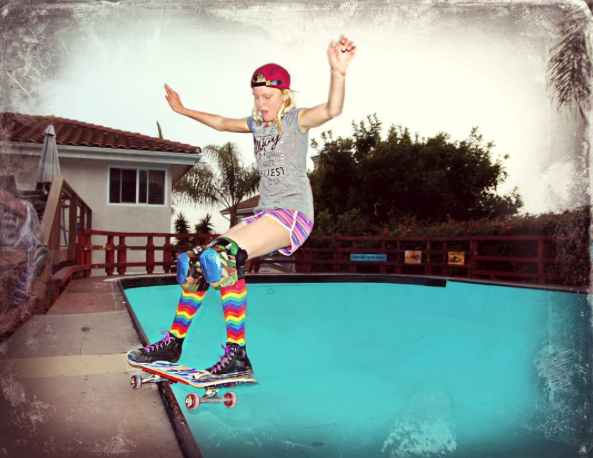 Skate Rising – EXPOSURE SKATE’s youth program for girls – is excited to have Rachel Smith, founder of Pride Socks and the “Proudest Moments” movement, speaking on the power of self-worth and empowerment. This Skate Rising event will be on Saturday April 8th from 9-11am at Academy Skate Park in Vista, CA. Like all Skate Rising events it’s free to attend. 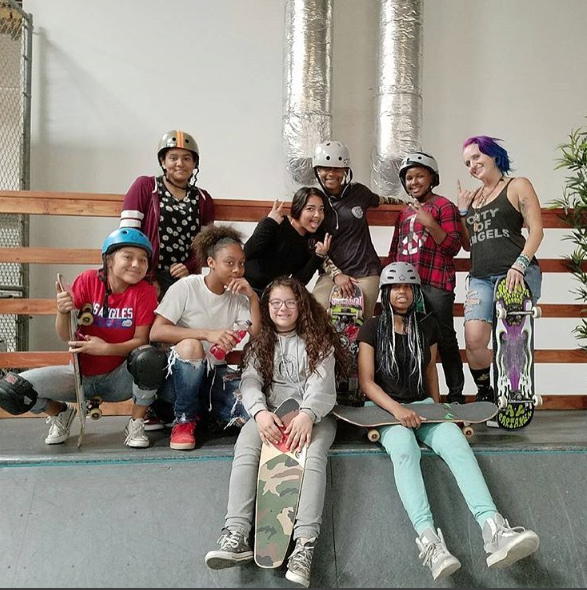 It’s the perfect opportunity for girls to meet other skater girls, skate at this session just for them, learn skate tips from the Academy Staff , volunteers, & other girls, plus this month hear from Rachel of Pride Socks. 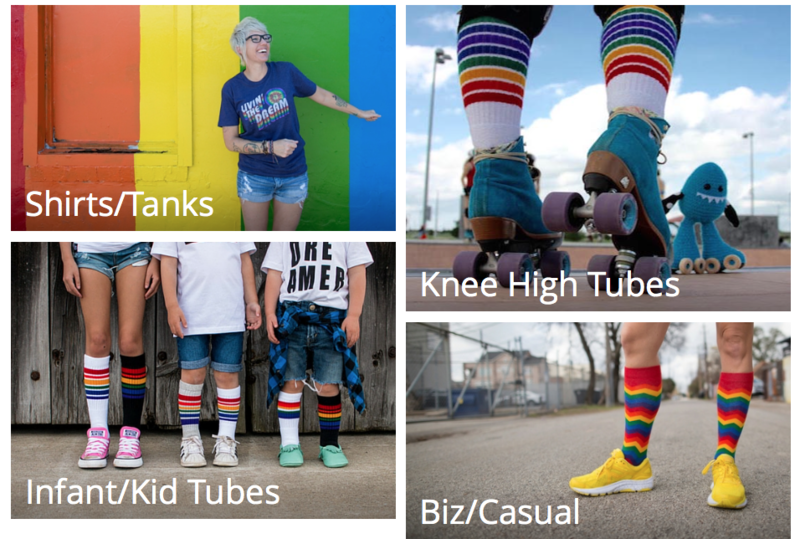 Anyone can sell socks, but we sell socks that spread love, pride, respect and inclusion. No gesture is too small to change the world, and we want to change the world from the feet up and when you feel that sense of pride in who you are, then we’ve succeeded. Why & how you support girls skateboarding? Rachel: I love supporting girls in skateboarding because it takes passion, patience and courage to fall and rise back up. These are all attributes that will continue with them into adulthood and make them strong and amazing women. How did you find out about Skate Rising and why are you excited? Rachel: I found out about Skate Rising via Exposure from Donna Wettstein. We sponsor Bryce Wettstein and they are huge supporters, which naturally made us want to be involved from day 1. We’ve seen it grow each year and it makes our hearts happy to see the involvement in the community and the difference it makes among the girls. Pride Socks is branded in people taking pride in who they are so they chase and accomplish their dreams. When you are chasing the life you deserve, you naturally ride cloud 9 and become a positive influence for yourself and others to do the same. Within Skate Rising, you see how the girls empower themselves and others and it is so important to us to see the life lessons they are learning, inside and out of the bowl and into their community. Rachel: I am traveling from Austin, TX. What do you have planned for Skate Rising? Rachel: I am planning to help the girls recognize the amazing attributes they have within and how to empower themselves from a daily activity with the use of our magnet set (which we haven’t released yet). People are amazing and we all have unique qualities to contribute to the world. Do you want to share anything about the Your Story Tab – I really like that section of your website. 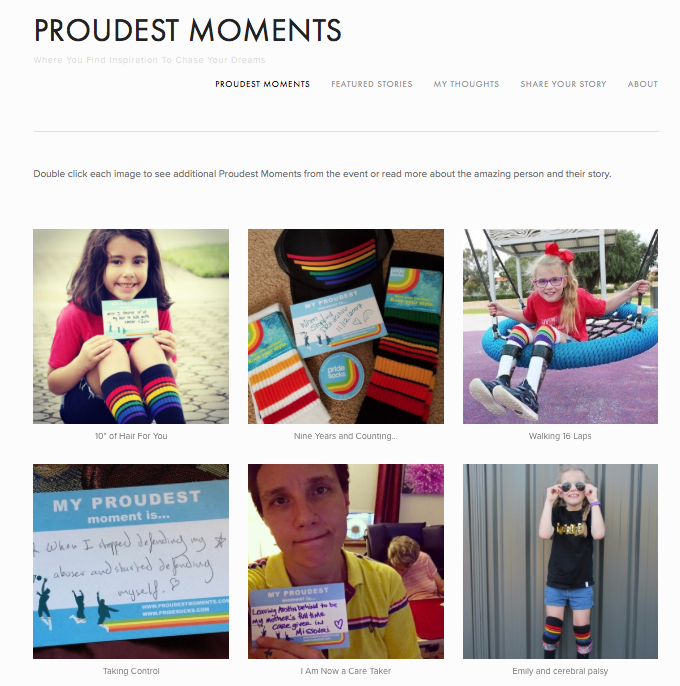 Pride Socks is about being proud of who you are so you chase and accomplish your dreams. We show case stories of people’s proudest moments because we feel it is important to celebrate them. Sometimes it takes years to achieve a certain task or over come a fear and when you do, it’s worthy to share and celebrate. More than likely you are not alone and chances are someone else needs to hear your story to give them a little boost to keep moving forward. You mentioned the magnet set, what else does Pride Socks have and where can people find Pride Socks? 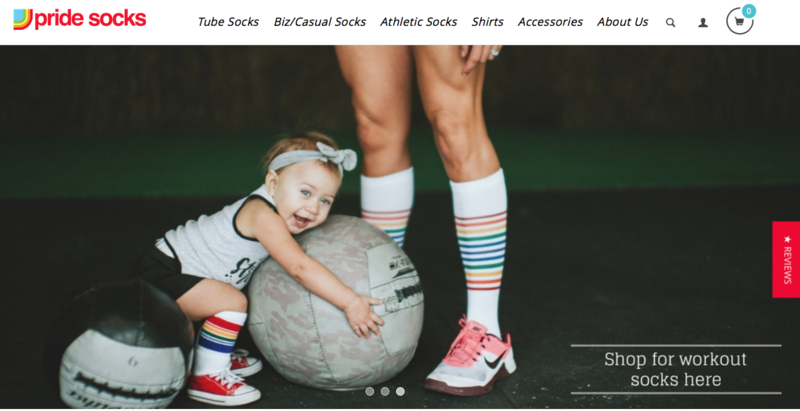 Rachel: We have expanded our product line, which includes tube, athletic and business/casual socks, vintage styles shirts and hats. We niche out the rainbow because it symbolizes hope and our hope is you continue to live the life you deserve and chase your dreams. If you can’t make the event, please shop with us at www.pridesocks.com and when checking out, input skaterising for 20% off. Thank you Rachel. I’m excited to hear you speak at Skate Rising – April 8th at Academy Skatepark. Below just a few of the girls who came out to March 11th event and helped collect books for Casa De Amparo. To read more posts on Skate Rising just click here and for sure be following Skate Rising on IG.